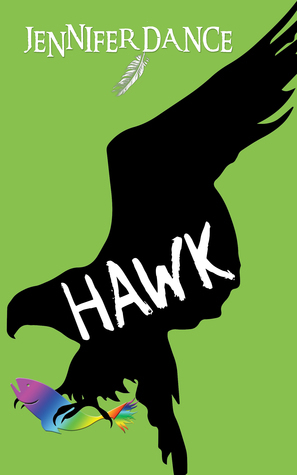 The young adult novel, Hawk, begins from the point of view of fifteen-year-old Adam, who has just found out he has leukemia. Then the point of view switches to a female “fish-hawk,” better known as an osprey, who is returning to Alberta. It is her first migration back to the place she was born; she is here to find a mate. Throughout the novel, the osprey pair and the teenager will be forever linked through a chance encounter, and more importantly, through their individual struggles to survive. Alberta Canada is home to what is usually referred to as the “tar sands.” The people who live in the area, many of whom are First Nations, rely on the industry for their livelihood. The money they make at good jobs supports their families and has improved their lives in many ways. But there is a dark side to this windfall. Many are getting sick. Bile duct cancer, which is quite rare, shows up more in the tar sands area. Although this novel is a work of fiction, Dance has done her research painstakingly. Her conclusions, and the conclusions of a real-life doctor, Dr. John O’Connor, may be controversial, but the reality is that there is usually a price to pay for disturbing the balance of nature. The story of Adam, though, overshadows all the controversy and argument. He’s just a kid who wants to be a long-distance runner. He’s also a kid with a complicated relationship with his parents, who he calls, Angel and Frank. It’s his way of punishing them for leaving him with his grandfather when he was a baby. Seven years ago, Adam’s parents brought him back to Fort McMurray to live with them, but he still refuses to call them Mom and Dad. They try to explain to him that they left him with his grandfather because they needed to move to Fort McMurray to get jobs. That’s where the money was. They only wanted what was best for him. And when Adam is honest with himself, he actually does miss the time he lived with his grandfather in the wilderness. But he is too angry at everyone to admit anything of the sort. Dance creates a well-developed portrait of a teenager angry at the world. He’s angry that his parents “abandoned” him, and he uses that word purposely. He’s angry at cancer. When he and his grandfather visit his father’s workplace and discover a fish hawk struggling in a tailings pond, covered with tar, Adam begins to think about things he never considered before. What is the company his father works for doing to the environment? When he and the osprey both struggle to survive, Adam discovers there is a way he can make a difference. Thank you Stephanie for this great review! Friends , Stephanie is a school friend going back to the grade school days. She is a writer of children ‘s books and has a blog site in which she reviews books. It has. Large following of writers and parents etc. Last August at our 50th HS class reunion(I graduated at age 10 🤗) we talked a lot about our love of children’s literature and SOMWA. She had a rough time finding the book even in Madison. I am so pleased she finally got a copy to review. I hope folks open the webpage and find newest awards and the reviews as well as past ones. It will give exposure to the Award and opportunity for those who share the passion. Stephanie we just announced the winner on Earth Day ! I will forward the email I reviewed. Thanks – it is good that old friends connect and find they still have so much in common! Hi Jan, thanks so much for the kind words! I finally contacted the publisher of Hawk and they sent me a review copy. I looked at the SONWA awards for this year, but I didn’t see one for a Young Adult novel. The picture book looks delightful and I will definitely be reviewing it in the future.